Sometimes, manufacturers need a specialized parts handling or washing solution as soon as possible, and don’t need something that is super-customized. To help manufacturers who need sturdy and reliable parts handling or washing containers immediately, Marlin Steel has a variety of “in-stock” baskets that are each designed for certain tasks. Each of these baskets is kept ready to ship on a moment’s notice so clients don’t have to wait for design, testing, and assembly. If a client’s order calls for more of a basket than what is currently in stock, more baskets can be rapidly assembled using the existing design files and Marlin’s incredibly consistent and capable factory automation tools. To help meet the needs of many different manufacturers on a moment’s notice, Marlin Steel’s engineering team regularly drafts new custom stainless steel basket designs. Recently, the engineering team created a new grade 304 stainless steel perforated metal basket for use in curing, washing, or handling parts that are too heavy for wire mesh baskets to handle. Perforated Sheet Metal Construction. The sides of the basket are all made from perforated sheet metal. While open space is limited compared to wire mesh, the sheet metal can withstand much more force and heavier loads—making the basket ideal for carrying heavy-duty parts through various processes. Liquids from aqueous wash processes can also enter and drain away from the basket easily. This enhances cleaning process efficacy for the parts contained within. Sheet Metal Frame. The basket has solid sheet metal plates forming the frame of the basket to further reinforce its strength. The frame is welded to the perforated sheet metal to create a solid container that will resist bending or breaking even under heavy duress. Perforated Metal Lid. A hinged, perforated metal lid keeps the basket’s contents secured within—even during rough agitation or handling. The lid is Ideal for washing processes that rotate or tip the container. The hinges keep the lid permanently attached so there’s no risk of losing the lid between uses. Large Side Handles. To make the basket easier for people wearing thick protective gloves to carry, two large handles were welded to the basket’s frame. These handles give manufacturing workers a place to grab onto whenever they need to move the basket from one piece of processing equipment to the next. Large Capacity Design. The basket has generous dimensions for length, width, and height, allowing it to accommodate many kinds of parts. 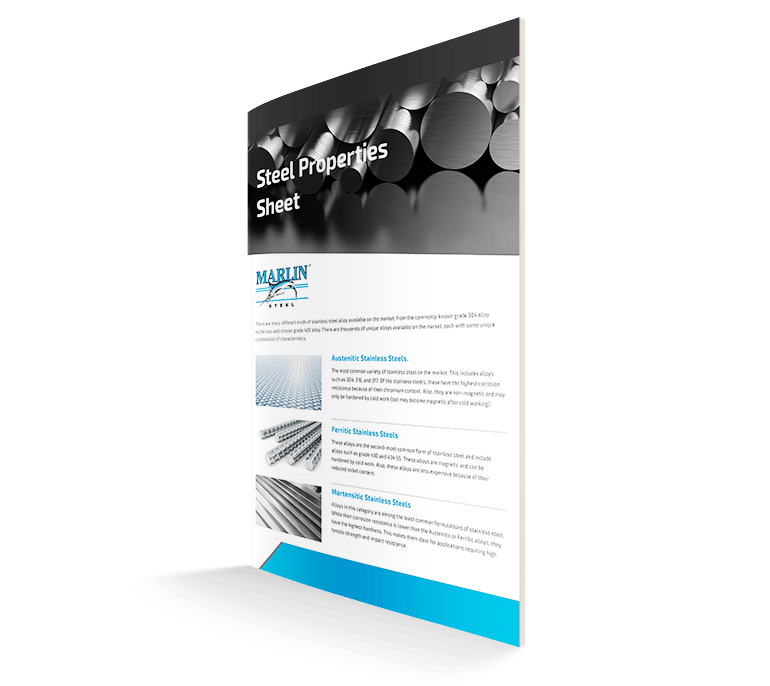 This provides some flexibility for the types of parts this perforated stainless steel basket can be used for—such as many smaller parts or just a few large ones—so manufacturers can adapt their baskets for different situations. Who Could Use This Basket? Needs to process many small parts where part-to-part contact during the wash process isn’t a concern. Has parts that are too heavy for regular steel wire mesh baskets to hold. Needs to process a variety of parts and cannot use an over-specialized stainless steel basket design. Is concerned about parts falling out of the basket. Needs a basket that offers some open space so fluids can easily drain and parts can dry efficiently. Need an effective and efficient parts handling or washing solution right away? 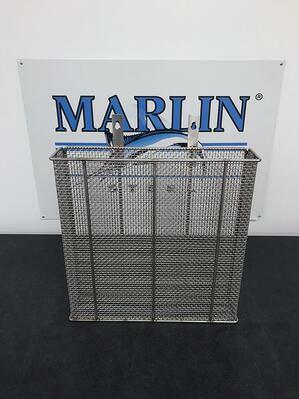 Check out Marlin Steel’s in-stock stainless steel baskets today. Or, reach out to the Marlin Steel team to learn more about Marlin’s custom stainless steel basket solutions.